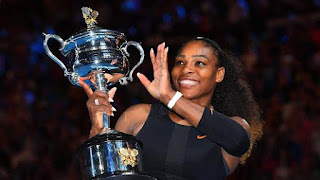 AFRICAN AMERICAN REPORTS: Serena Williams is not the best female tennis player, she's one of the best period! Serena Williams is not the best female tennis player, she's one of the best period! Serena Williams won her 23rd grand slam title by beating her sister Venus at The Australian Open. Many say she is the best female player ever. Why not say that she is one of the best tennis players ever?